We’re deep in summer, but that doesn’t mean we’ve slowed down one bit. Writers are writing, publishers are publishing, new services are coming online all the time, and there’s a lot of great reading to catch up on this weekend. For your educational pleasure, please read on. 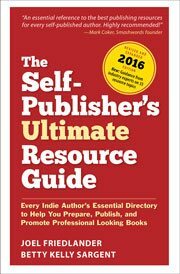 Along with the articles I’ve written here over the last week for the launch of The Self-Publishing Roadmap, the new video-based training program for authors who want to learn self-publishing, there have been a number of others in the blogs, too. Nonfiction Authors: How Well Do You Know Your Readers? And thanks to the hosts, reviewers and bloggers for their generosity. Glad to be a part of this awesome list! Terrific roundup! I must be doing something right as an author (at least, I hope I am), because I caught most of these this week. But there were a few I missed. Thanks for filling us in.